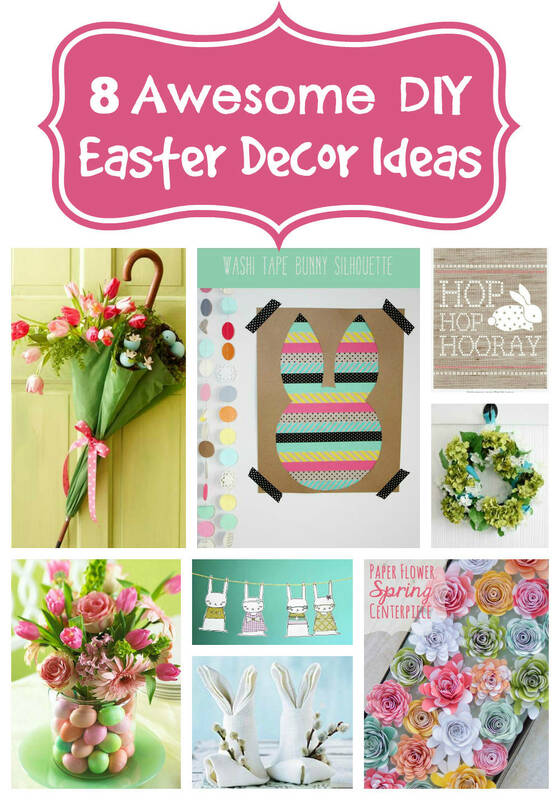 Here is a collection of my top picks for DIY Easter Decor. This collection includes super-cute bunny napkins, a gorgeous Spring hydrangea wreath, an adorable “hip hop” bunny, a clever umbrella door decoration, and more! Thank you for dropping by The Mindful Shopper! I absolutely LOVE it when you stop by! I hope you enjoy these 8 Awesome DIY Easter Decor Ideas! A Co-Host Small Victories Sunday Link-Up Celebration! Love the umbrella – just so clever. In fact all of your 8 picks are. The Bunny Napkins are a hoot. I have the real version and she is so enjoying chowing down on fresh dandelions (finally). I’m beginning to feel rather Springlike and your site made me more so. Thank you! Thank you so much for stopping by! I am so glad you enjoyed my picks! Stop by anytime! Fun collection of projects – I especially love the flower-filled umbrella. Thank you so much for stopping by and commenting! The umbrella is one of my favs as well! Stop by again! I saw that umbrella pin awhile back and totally forgot about it! It’s something I really wanted to try, so I’m glad I saw you posted it. Thanks for the reminder! So glad that I was able to pin something you were looking for! Thank you so much for stopping by and for commenting! Love the site makeover and offerings, dream of being wherever that picture of the ocean/beach/pier was taken:) also awesome new picture Amy super creative!!!! CUTE CUTE CUTE! I was JUST looking for new cute front door ideas! The Umbrella might just be a winner! Thanks for posting!! I am so glad you stopped by! Thanks for the kind comment! Hugs to you! great ideas! i love the egg filled vase – i actually just shared that on my FB page yesterday! Thank you so much for stopping by and for taking the time to comment!!! I just stopped by your website and absolutely loved it!!! Looking forward to connecting further! Thank you so much for stopping by and for taking the time to comment! Love your site! I love the washi tape bunny. How fun! Thanks so much for stopping by The Mindful Shopper! Hope to see you again soon! I love the easy Easter egg vase. It’s so pretty! Love the egg/flower vase decoration idea! I love your ideas! I love your Pinterest page too. I hope you don’t mind that I pin some of your awesome decorating ideas. Everything is so pretty. Thanks so much for your kind words! Means a lot to me! Aww, I missed this for Easter this year (2014), but I’ll be set for next year. Thanks. Thanks so much for stopping by! Appreciate the comment! I am now heading on over to your recent post!